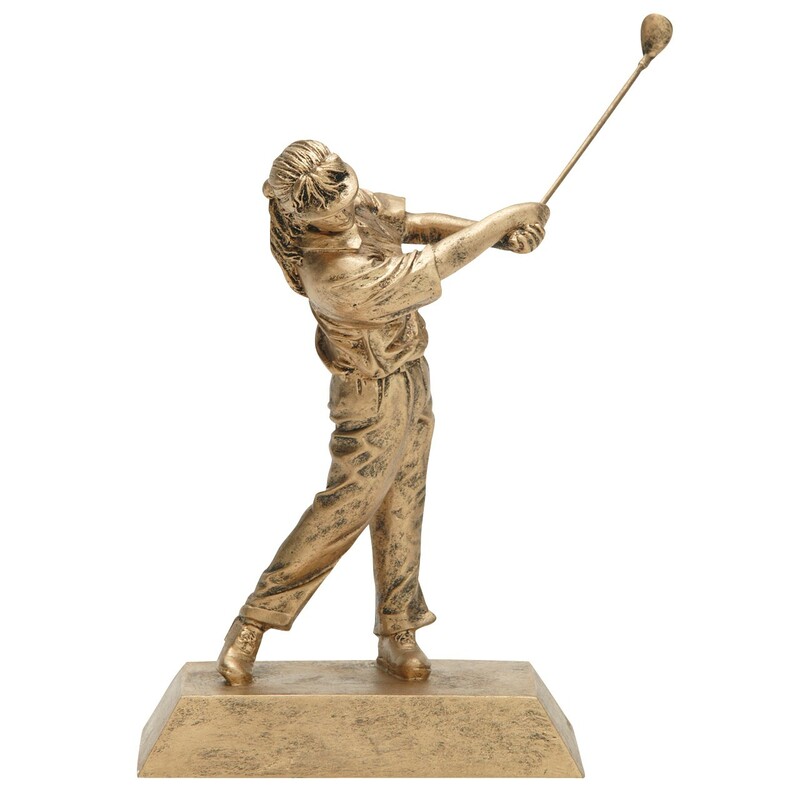 The Gold Female Golf Trophy is crafted from solid resin and finished in gold tone. Sculpted to resemble cast bronze, this female golf trophy features a lady golfer in post-swing action. In your choice of 2 sizes, award this golf trophy to your female golf champ today! Find the male version of this golf trophy here!